It's Tarot Tuesday! This is the time when we hone our intuitive skills. We're mixing it up today. 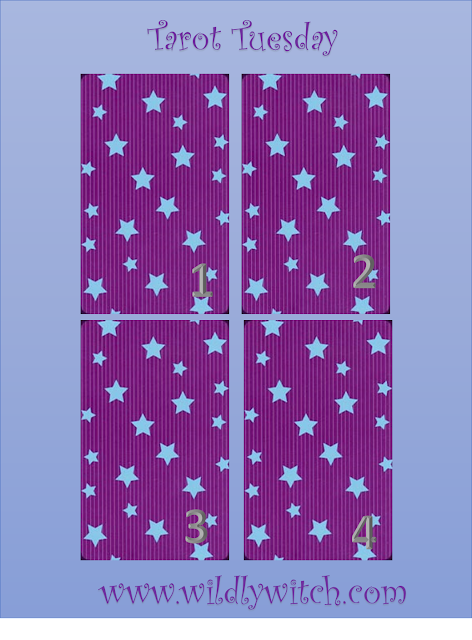 This time, you have the same tarot backs, so you're going to have to rely more on intuition than the pretty color choices. Choose ONE CARD (only 1, please) that most resonates with you. Now, see below for the Big Reveal! The perfect harmony of union, in romance, friendship, or business. A deep and palpable connection radiating joy and contentment. A great concordance or pledge of fidelity. The joining of male and female interpreted in the broadest sense. The sanctification of the natural through that which exists on a higher plane. May indicate the meeting of a kindred soul, marriage, engagement, merger, or partnership. Fulfillment and joy in life and love. Feeling peace, tranquility, and contentment in friends and family. Taking delight in one's good fortune. In the present position, this card represents a recent breakthrough. You may be in love at the moment of the reading or falling in love with someone. 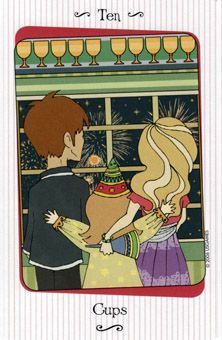 This card carries emotional impact, so there is some wonderful sentiment permeating your life and your world at present. 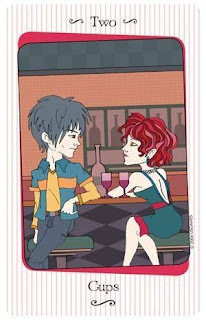 The Tarot reading confirms that you should be enjoying yourself thoroughly. Opening your heart to the simple pleasures of life. Fond memories fuel the playful embrace of love and life. Experiencing the joy of youth and sexual innocence. Engaging in acts of gentle kindness. Harmony of natural forces without effort or strain. Meeting an old friend. 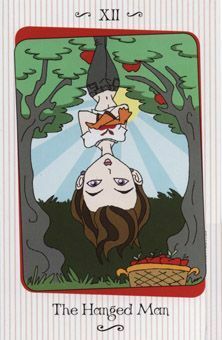 When it is in the present position, the Six of Cups is a card letting you know that you may be too trusting of an individual. It also may be a card that indicates your genuine affection for someone is the reason you are succeeding. 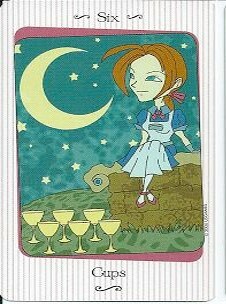 This is a card of enjoying the moment without consideration for the consequences of your actions. Tarot readers at tourist resorts see this card come up seemingly more often than the laws of chance would allow for. People on vacation are inherently at play. Pausing to reflect. Surrendering to an experience. Adjusting to new ideas through sacrifice. Opening oneself to intuition and enhanced awareness. Letting go of past patterns and growing beyond them. Inner peace, faith, and serenity. In the present position, you are being urged to avoid conflict. Sometimes an enemy so dearly wants a fight that the way to defeat this person is to deny him or her that one thing that is most deeply desired. To withhold the confrontation is to be the winner in these situations. How did you do? Was this exercise beneficial? Did the twist throw you off or help you hone your skills? Let me know through this page or Facebook comments. I look forward to hearing from you!